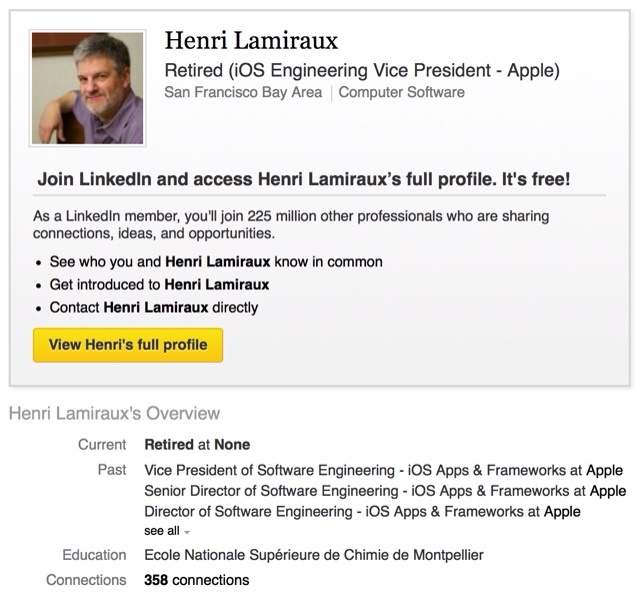 Henri Lamiraux, Apple's Vice President of Software Engineering - iOS Apps & Frameworks, has retired, according to his LinkedIn profile. Lamiraux confirmed his departure to 9to5Mac via email. "He says that he retired from Apple a 'couple of weeks' ago, following the release of iOS 7.0.3. Lamiraux decided a 'little while ago' that iOS 7 would be his last release…"
Lamiraux was responsible for the development of the apps that come with iOS and new feature implementation across the operating system. He worked under Scott Forstall and then with Craig Federighi after he became Senior VP of iOS and OS X. The departure of Lamiraux is seen as significant loss for the company.